The time of year has come, Coachella 2014. The Music and Arts Festival in California attracts a gaggle of tiny short, massive shade wearing celebrities, and so far it's not let us down. 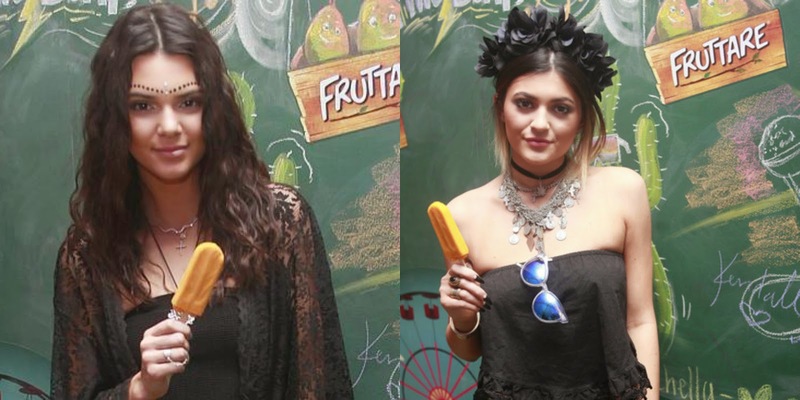 Kylie and Kendall Jenner and Selena Gomez all spotted so far with some great festival fashion. Accessories are proving to be a popular choice, along with wide brim hats (perfect festival attire) Covering hair, and distracting with floral crowns and headbands can be the idea cover up for festival hair. I loved Nicole Richie's little sis, Sofia, and her double french plaits. And Poppy Delevingne - love your accessories. Gorgeous pink floral band and some funky sunglasses. Massive hair envy - love a good beachy waves look. Great blog Kelly!